After the Coquihalla, today was likely the day anticipated with the most apprehension for its climbs. It did not disappoint. It was already warm when we left the campground. Being on breakfast crew we were among the last to leave. 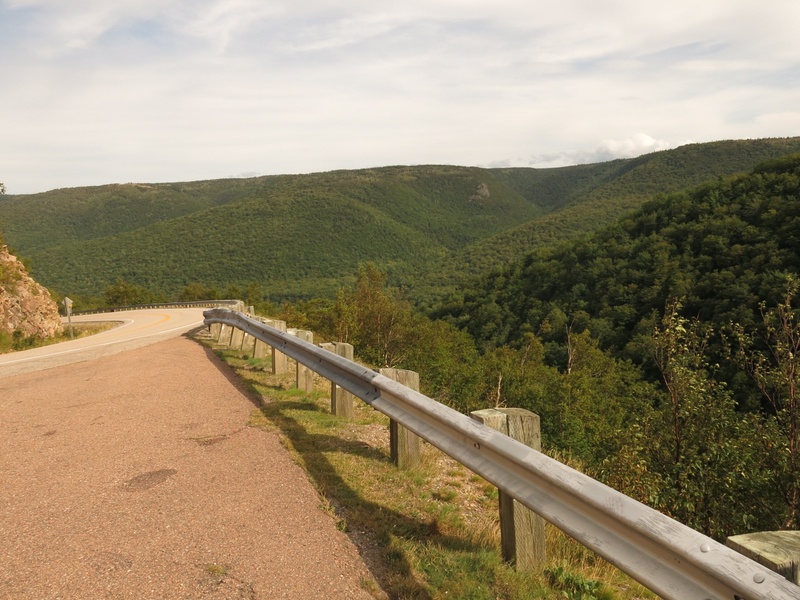 At Margaree Forks we caught up with several other riders at a convenience store. 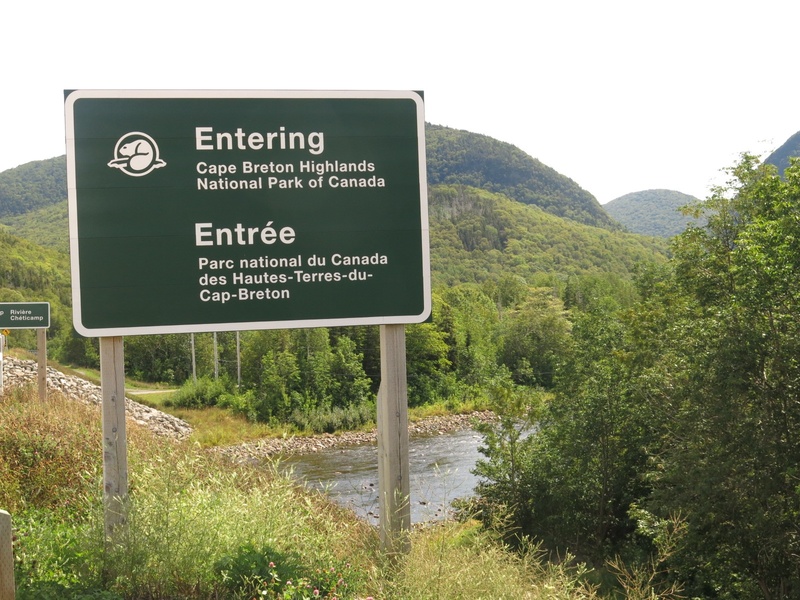 We were now officially on the Cabot Trail. 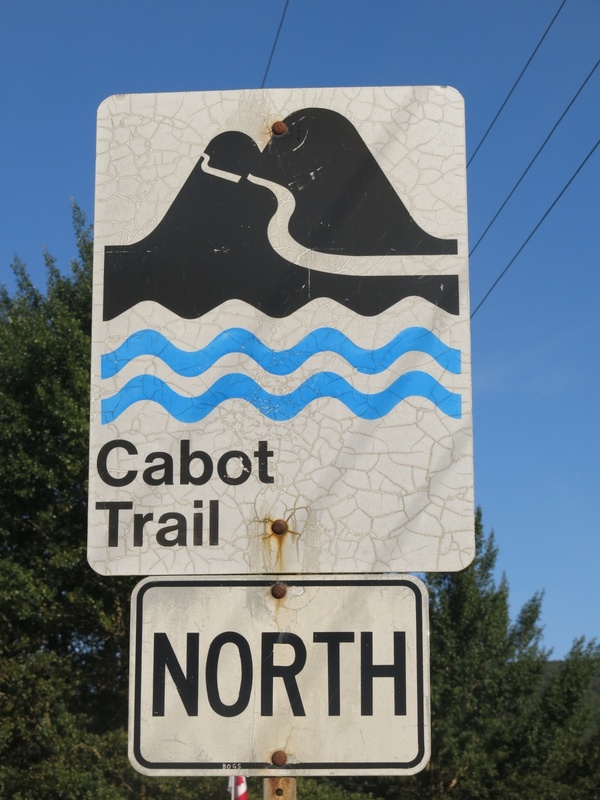 The trail is named after John Cabot who reached Cape Breton in 1497 and also celebrates his meeting of the Mi’kmaq people in Aspy Bay. 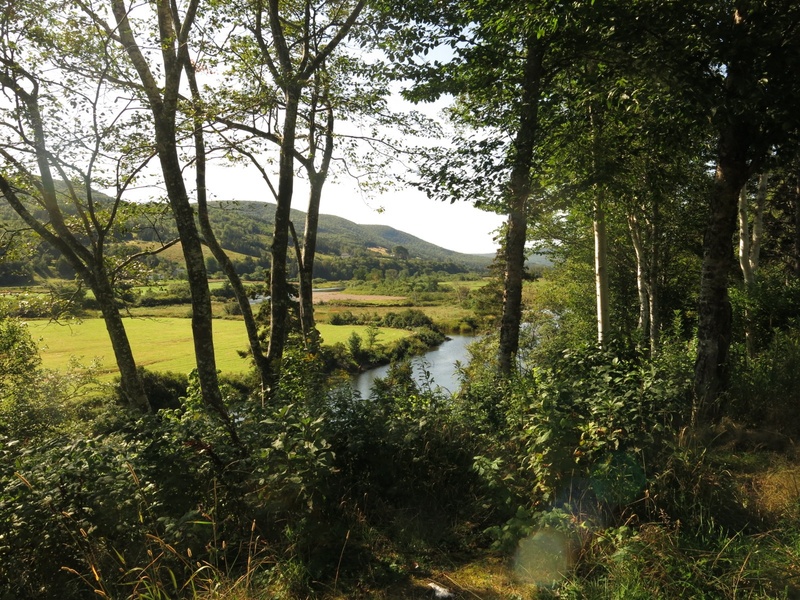 The ride along the Margaree River to Margaree Harbour offered beautiful views of the river and the farms nestled in the valley. From the harbour we turned north to start our ride along the coast. 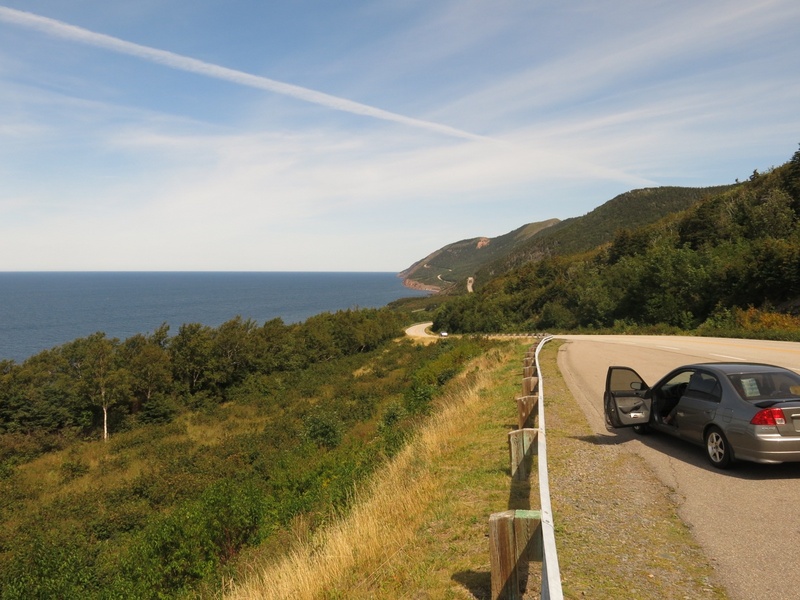 This side of the island seems to be heavily of Acadian descent with the red, white, and blue Acadian flag displayed on many homes and businesses. 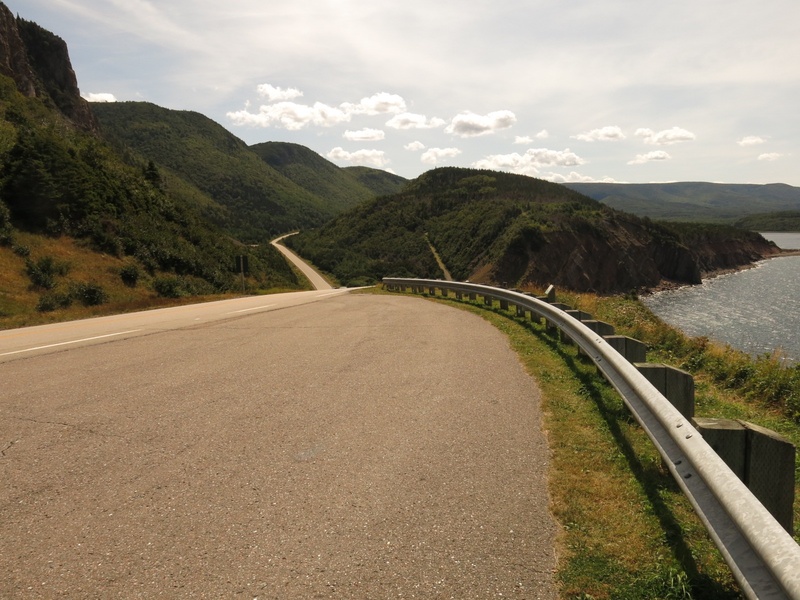 North of Cheticamp the road started to get hillier with longer and steeper hills. 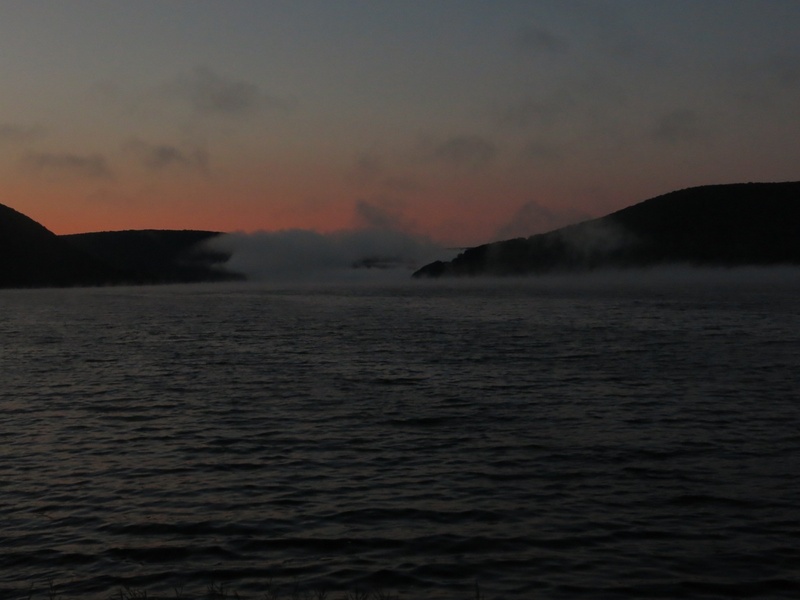 The tops of the hills offered some stunning views out over the shoreline. After the “warm-up” hills we came to French Mountain which certainly lived up to its reputation of being a challenging climb. 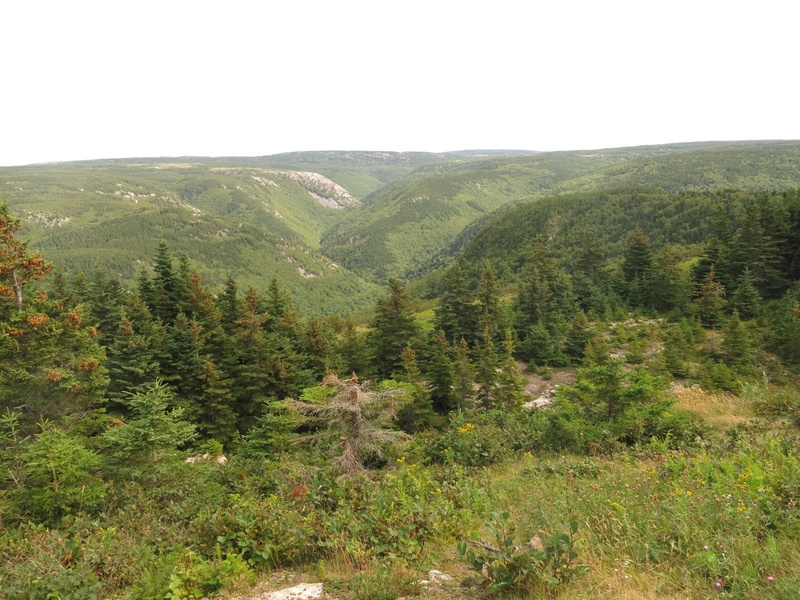 It was a steady climb with no relief for 6 or 7 kilometres with the grade ranging from 7-10%. It wasn’t so much the steepness (although it was steep enough) but was the length of the hill with no let up that was the real leg burner. We eventually made the summit. 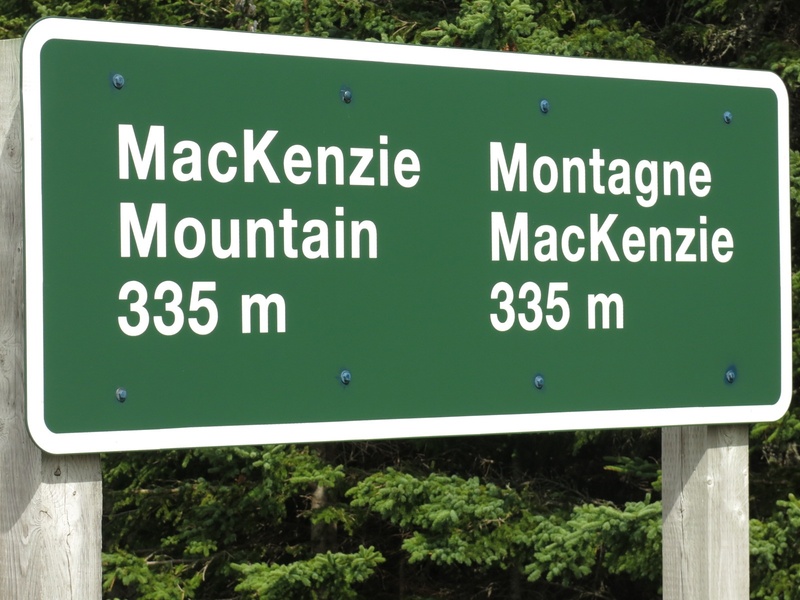 A few kilometres further, after a fairly easy ride up and down a few short hills we reached the summit of MacKenzie Mountain. A hair-raising descent took us into Pleasant Bay where we found a restaurant for lunch and a rest before our next challenge. 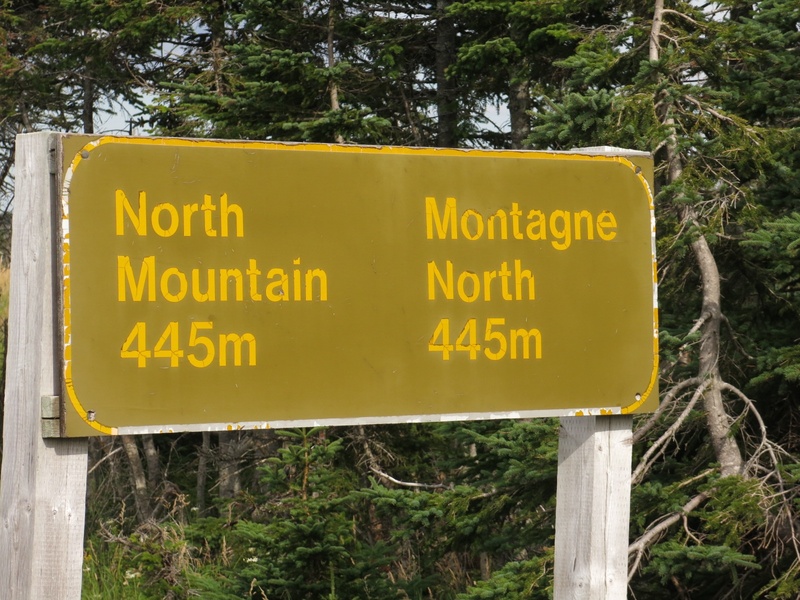 North Mountain proved to be an even greater challenge than French Mountain. 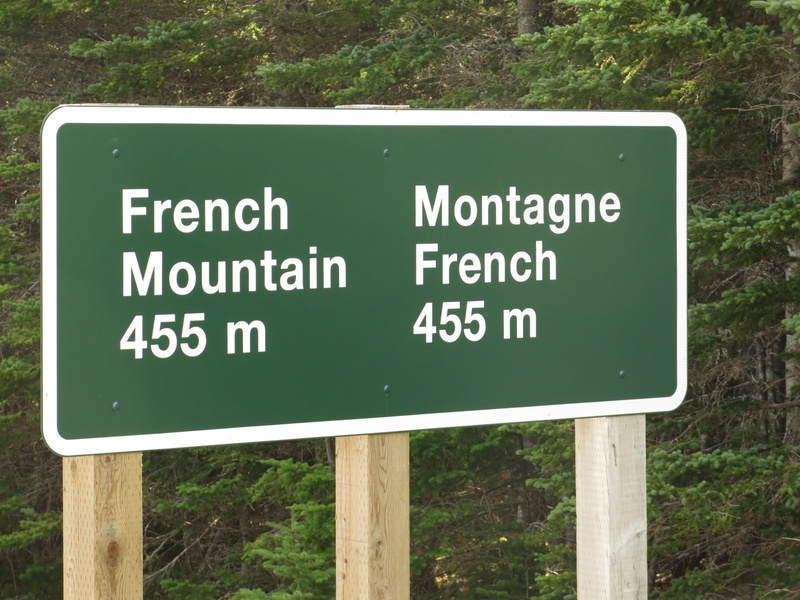 Although shorter, it was much steeper than French. 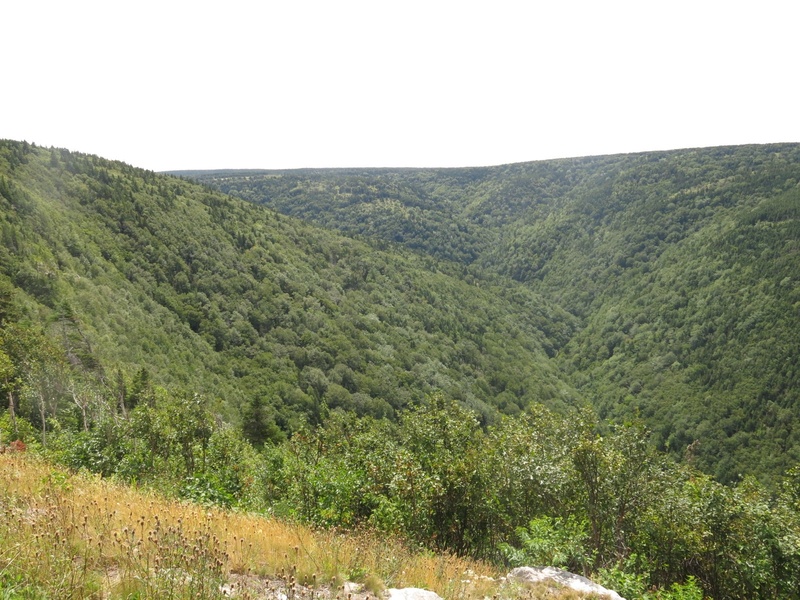 The grade ranged from 10-15% and hovered around 13% for most of the climb of about 4 km. Before we started the the climb Elaine and I agreed that if one of us had to stop for a rest the other should continue if they were able and we would meet up at the top. When we did get to the summit Elaine admitted that she wasn’t going to stop if I didn’t and I had to confess that I wasn’t stopping if she didn’t. So we both made it non-stop. The two climbs were probably the toughest of the trip but we were rewarded with spectacular scenery and a real sense of accomplishment when we had done them. We certainly weren’t done with hills yet although we didn’t have any more big climbs for the rest of the day. But with now tired legs we felt every hill. Late in the afternoon we arrived at the Hideaway Campground near Dingwall. Our distance today was 146 km with a total of 1927 m of climbing and 1950 m of descent. In other words after all of the ups and downs we were pretty much at the same elevation as last night! Sometimes the best things require hard work. The day was tough but the reward was the views and the sense of accomplishing a pretty tough task. This is a great description of your ride that day. It brought back my memory of it in vivid detail.